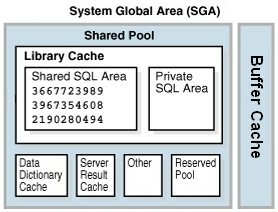 The SGA (System Global Area) is an area of memory allocated when an Oracle Instance starts up. A group of shared memory structures that contain data and control information for an Oracle instance. The SGA's size and function are controlled by initialization (INIT.ORA or SPFILE) parameters.